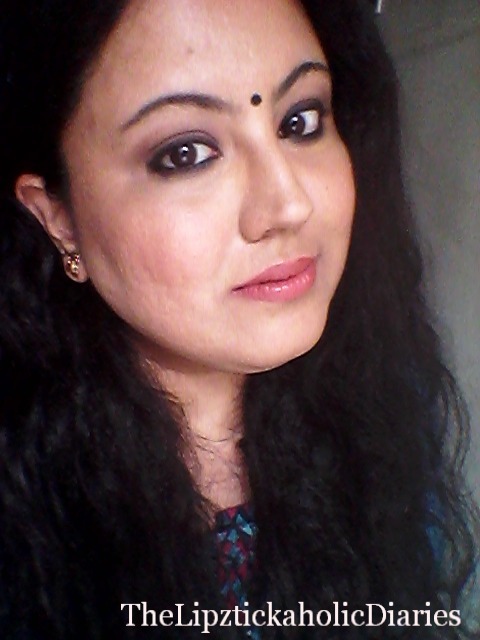 The Lipztickaholic Diaries: Deepika Padukone inspired Makeup Look from "Piku"
1. Face - I used the Lakme Absolute Mousse in shade 'Golden Ivory' to create a natural & clean base. To conceal under-eye circles, I used the Derma Color Camouflage creme. To mattify and set the base, I used the Blue Heaven Artisto Compact all over the face. 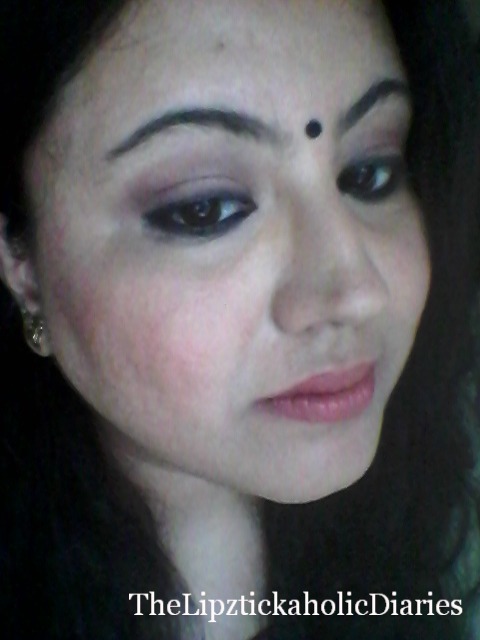 To replicate a natural blush, I used 'Peach Affair' blush from the Lakme 9 to 5 range. 2. Eyes - To avoid creasing & to create a base for the eye shadow, I applied some of my concealer to the eyelids. Once this was done, I dusted 'Creamy Cinnamon' blush by Maybelline Cheeky Glow on the eyelids (this is actually a blush, but a very versatile colour that I sometimes use as an eye shadow as well...I love products that can multi-task for me!). 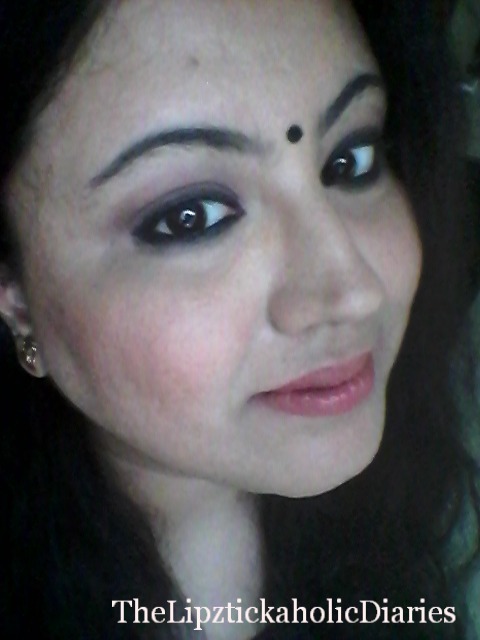 I lined the upper & lower lash lines with the Lotus Color Kick Kajal (Read review HERE). A simple VOV black eye shadow was used to smudge these lines out; this way the kajal doesn't run/smudge when your skin gets oily or sweaty. Smudging also increases the intensity of the eye look. For thicker looking eye brows like Deepika, I simply used the same kajal to fill out the sparse areas in my brows. 3. Lips - I used the Maybelline Colorsensational Lipstick in 'Bronze Orange' on the lips. Try to stick to a neutral colour, so that the whole focus in on your eyes. If the man can recognise it, then you have done a great job indeed..